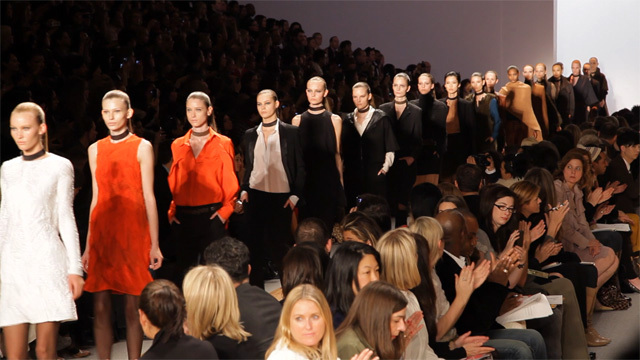 Max Azria and Lubov Azria took a new approach to menswear for women in this seasons line. Strong tailoring skills were highlighted as well as feminine shapes. Black chokers paired with alternating plunging or conservative necklines.